Afraid to use etching cream? Me too, that’s why I love Cricut’s new Frosted Permanent Vinyl! Dress your glasses with beautiful dainty designs using frosted vinyl. 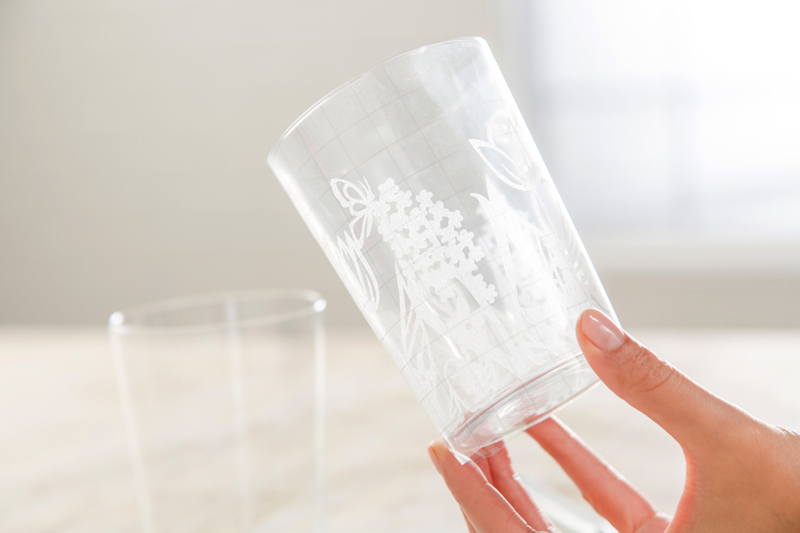 Begin by opening Cricut Design Space using this link to the project, Frosted Floral Glasses. 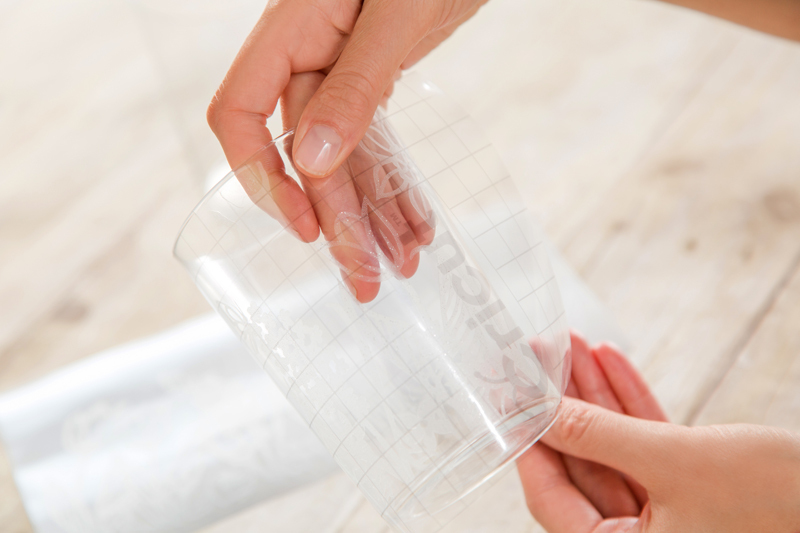 This project makes one glass decal, but you can customize it to make as many as you need! Load your frosted vinyl and let the Cricut Maker do the rest! 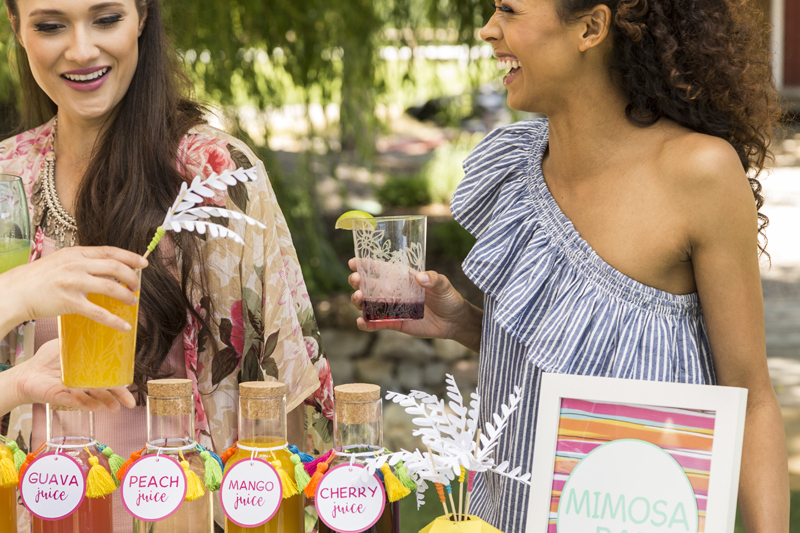 Use a sharp hook Cricut® Tools Weeder. 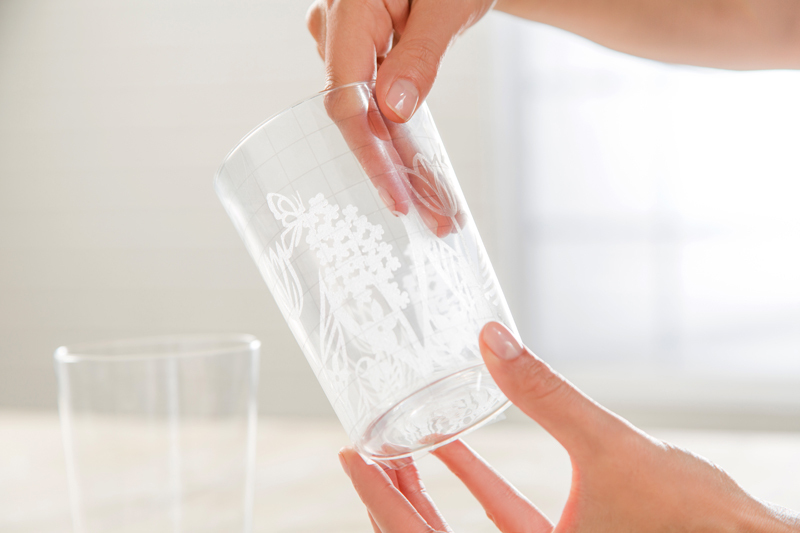 Using Cricut® Transfer Tape, transfer your image onto the glass. Begin by trimming a piece of transfer tape to fit your vinyl image. 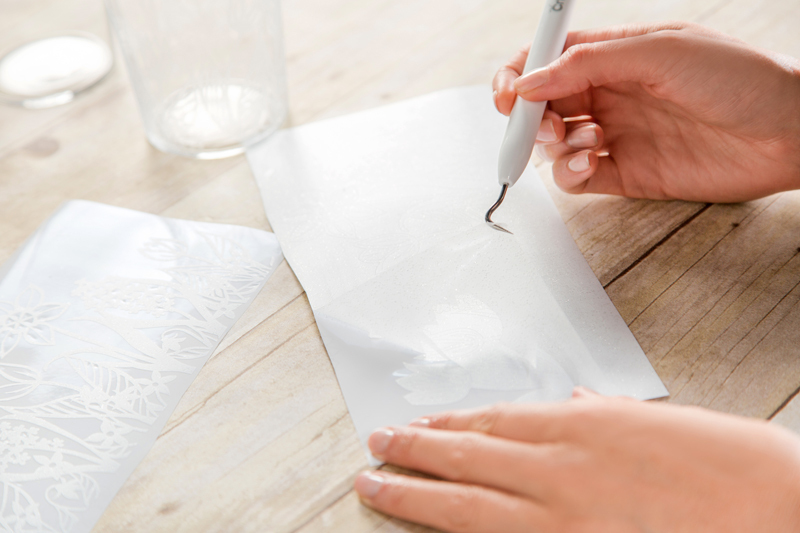 Stick the transfer tape over your entire image and use your scraper to burnish the tape onto the vinyl pieces. Peel up one corner of the transfer tape and gently pull until the tape is off the liner. Place the transfer tape and vinyl onto glass and burnish on with your scraper tool. Cut small slits from the top of the transfer tape going down, and from the bottom of the transfer tape going up to get it to wrap around the glass without puckering too much. If the vinyl is puckering, use a heat gun in small amounts. The vinyl will shrink slightly. When it is all on, peel off the transfer tape and enjoy drinking out of this darling glass!